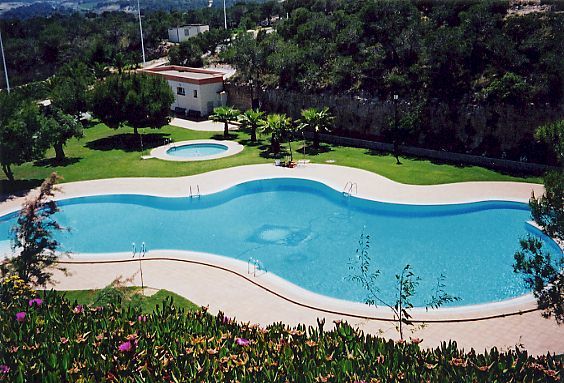 The holiday villa has a communal swimming pool just by. 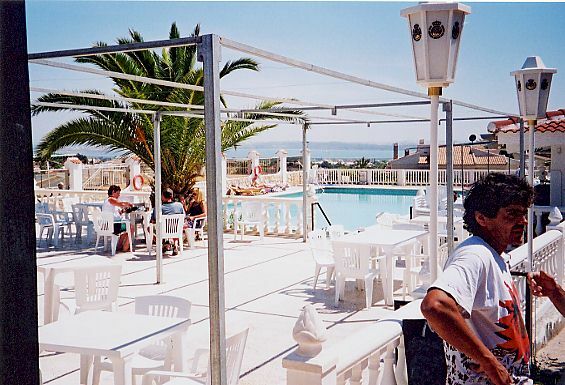 There are also two pool/restaurant/bar establishments within walking distance. 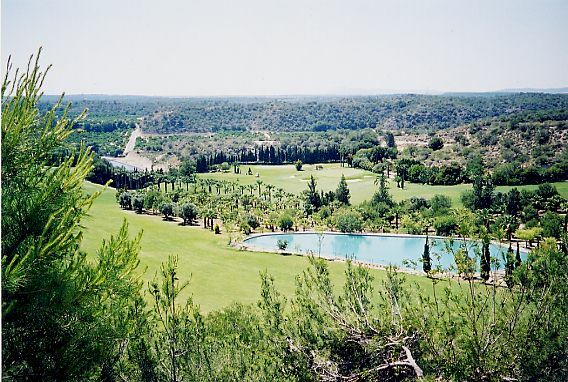 There is a wide range of swimming facilities in and around Torrevieja ranging from blue flag beaches through to many public swimming pools and an Aqua Park. They are all easily accessible from the holiday villa. 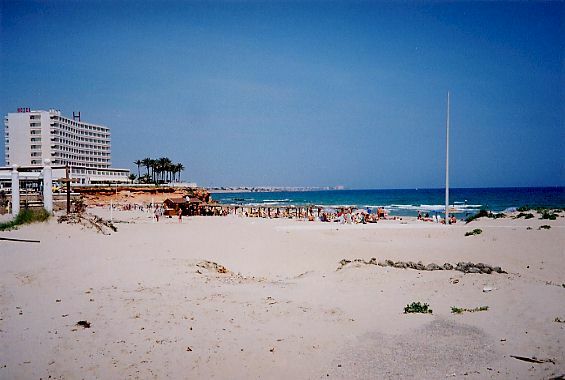 t is impossible to talk about Torrevieja without talking about its beaches with their fine sand and crystal clear waters, without doubt the most frequented along the Mediterranean coast along with the town of Benidorm. They have all held the European Blue Flag for Clean Seas for several years, awarded for their quality and excellent installations. 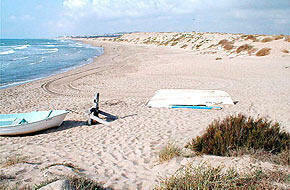 La Mata, Los Locos, El Cura, El Acequión and Los Náufragos together make up the beaches of the Torreviejan coast, not forgetting the marvellous coves in the northern part, as well as the so-called natural swimming pools which are found beside the Juan Aparicio promenade right in the centre of the town. Of course the seaside promenades and the fishing port are attractions in their own right for visitors to this part of the Southern Mediterranean. The Torrevieja micro-climate, brought about by the two salt lakes of La Mata and Torrevieja which occupy more than 55 per cent of the total area of the town, with its 340 days of sun and an average annual temperature of 20 degrees centigrade, has meant that thousands of tourists from the north of Spain and northern Europe have decided to set up home permanently in the town. 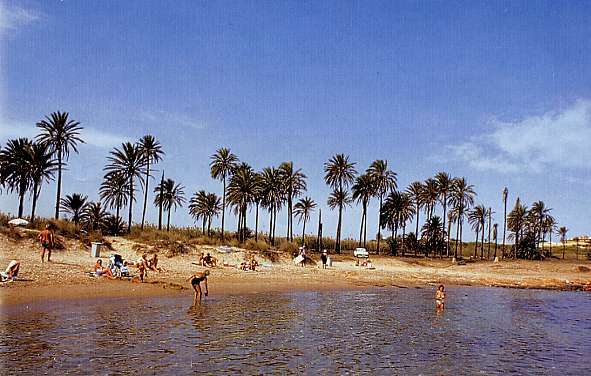 If you still do not know this small corner of south east Spain there is still time to do so, because the best thing of all are the local people, traditionally friendly and open to both national and international tourism. 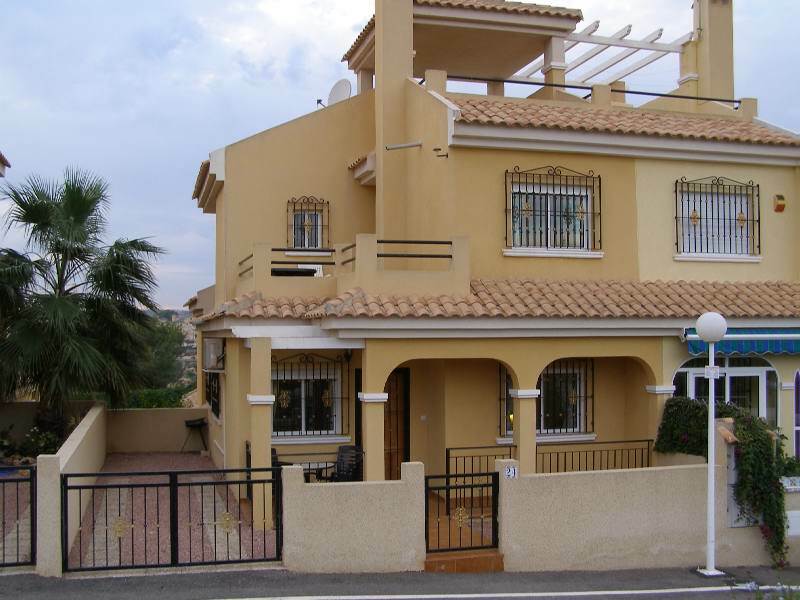 The Villa has a communal swimming pool, there are also two pools within walking distance and also pools at the golf courses and bowling centre. There is also an aqua park a few minutes drive away.